[0:11] <CTMGame> I'm currently running my Pi through SSH from my desktop. [0:12] <CTMGame> I can run startx, and X starts on the Pi's display. [0:12] <CTMGame> Is there any way I can access the LX-Terminal via SSH from outside? [0:13] <shiftplusone> What OS is on your desktop? [0:14] <CTMGame> I found a tutorial via google. [0:14] <Encrypt> CTMGame, Simply the LX-Terminal? [0:15] <CTMGame> shiftplusone: I just found a tutorial via googling "X11 forwarding"
[0:16] <CTMGame> Encrypt: I can only get to that either from the Pi itself or VNC, but I don't need the screen. [0:17] <shiftplusone> and you should be able to run X applications like they're local. [0:17] <CTMGame> shiftplusone: Ok, thank. I'll try that. [0:18] <shiftplusone> How've you been, Encrypt? [0:22] <shiftplusone> London? We're in Cambridge, heh. [0:27] <shiftplusone> That's mostly how it worked at my uni too. [0:27] <shiftplusone> Most computers had Windows on them, but if you needed linux, you'd use a livecd or a VM. [0:28] <niston> ARM was even born there IIRC? [0:29] <shiftplusone> Lots of tech companies here, start ups and other things going on. [0:30] <CTMGame> shiftplusone: That wasn't quite what I needed. [0:31] <shiftplusone> CTMGame: Did you want to connect to whatever is actually on the display physically attached to the pi? [0:31] <CTMGame> shiftplusone: Basically, yes. [0:31] <CTMGame> shiftplusone: Mostly just LX. [0:33] <shiftplusone> Or... there's synergy, but it takes a little bit of fiddling to get working right. Then you can use the keyboard and mouse from one PC on another, like it's a multi-monitor setup. [0:33] <shiftplusone> That's my preferred approach, but I wouldn't recommend it right now. [0:33] <CTMGame> shiftplusone: I think there's a misunderstanding. [0:34] <CTMGame> biberao: Yep, 8. [0:34] <shiftplusone> biberao: he tried it... it's not what he's asking. [0:34] <CTMGame> shiftplusone: I have a Java app which needs to run in X on the monitor that's physically attached to the Pi. I want to start that app remotely via SSH. [0:34] <at0m> trouble i see with ssh -X, is disconnects. vnc doesnt have that. [0:37] <CTMGame> Ok, I'm gonna try that now. [0:44] <CTMGame> shiftplusone: How do I start the X11 window server without the SSH blocking? [0:45] <CTMGame> Thank you so much! [0:47] <shiftplusone> If you don't know the difference between the different approaches, it can be hard to explain which one you want. [0:49] <CTMGame> Well, I certainly have a long way ahead of me. [0:54] <knob> I can't figure out what is going on. [0:54] <knob> Any idea how to start troubleshooting it? [0:55] <knob> Adafruit has a guide, yet they hook up the board to an Arduino UNO. I do have an UNO here, yet I want to use the rPi for simplicity's sake. [0:55] <shiftplusone> seems like their library isn't taking drift into account? [0:57] <knob> If I jitter the board back and forth I see the values fluctuate, yet they have a general tendency to climb, and climb and keep on climbing. [0:57] <knob> I have been working on this three nights, and I haven't have a clue. [0:58] <knob> I must have something off, yet... what?? [0:59] <shiftplusone> Have you tried just using RTIMULib? [1:03] <knob> checking those out now! Thank you! [1:05] <at0m> shiftplusone: thanks, didn't know about xpra! [1:05] <shiftplusone> at0m: me neither. Have you tried it yet? [1:21] <feverlabs> quick question to see if anyone has dealt with the same issue: rpi2 with adafruit nano wifi dongle. used ada tutorial to create access point. working perfectly, except wifi drops out every 15 seconds. tried three different power supplies, all able to provide over 2A. power saving for wifi is off. tried the fix in the driver options. any ideas? [1:21] <shiftplusone> Mallot1: what did you do? [1:23] <Mallot1> shiftplusone: The black jack? [1:23] <Mallot1> Oh lol :D! [3:11] <Berg> whats a muffin? [3:36] <Berg> whats the user name and password please? [4:12] <warpie> what OS you using on the pi, Berg? [4:15] <warpie> put the Ubuntu 15.04 on it and you won't have any problems. [4:19] <AlmtyBob> Anyone messed with an MCP3008? I have a temperature sensor that wants 4-30v. Can I hook up the MCP3008 to 5v? [4:41] <Berg> how can i make a usb hard drive ? [5:06] <goppo> could a rpi be used to measure the voltage across a battery? [5:07] <methuzla> not without additional hardware. pi has no ADC. [5:08] <goppo> oh.. the arduino does? [5:08] <goppo> hmm that's a shame..
[6:47] <Flynnn> Jeeves_Moss: Rainbow screen, that's a new one. How exactly are you trying to install IoT? [6:56] <Flynnn> Jeeves_Moss: So you're trying to flash a pre-made image, and it won't work? [7:01] <Flynnn> Jeeves_Moss: Maybe you should put linux on a flash drive and boot your machine up in linux for a bit while you install this thing? [7:02] <Jeeves_Moss> I don't think I can do a FFS file. [7:10] <Flynnn> Jeeves_Moss: What did it do? [7:14] <Flynnn> Jeeves_Moss: that's rediculous! [7:15] <Jeeves_Moss> yea. I don't know if it was from the previous Linux install, or if it just made a mess. [7:18] <Jeeves_Moss> yep, it makes 6 partitions. [7:34] <courpse> Anyone know how to disable the leds for network on the pi? [7:38] <Jeeves_Moss> courpse, I don't think you can. I think they're hard wired. [7:39] <Jeeves_Moss> sorry. what are you trying to do? [7:39] <courpse> i have one in the bedroom, and at nights, a bit bright. [8:02] <gorroth> what is your wife doing out of the kitchen? [8:12] <Jeeves_Moss> lol. don't worry, I've got MUCH worse than that! [8:13] <Jeeves_Moss> windows IoT or Linux? [12:33] <djsxxx> Not really spam, only posted it once... ? [12:36] <normalra> Maybe CoJaBo likes SPAM canned tuna. [14:30] <Encrypt> nid0, "♫ The rain never bothered me anyway ♫"
[14:55] <eeguy> Guys, I have tried out two different plotting libraries for python, but it is painfully slow to plot in realtime on the pi..
[14:55] <eeguy> is it at all possible? am i doing something wrong? [14:57] <Encrypt> eeguy, Why do you want to plot things? [14:57] <Encrypt> Is it for a report or something? [14:58] <knob> Good morning all!! [14:58] <niston> eeguy: try MRTG? [15:02] <eeguy> but you're saying my solution is lagging due to the plotting packages i use, and not the PI itself? [15:15] <eeguy> niston: i am having trouble installing it.. could you help me perhaps? [15:40] <dastaan> @eeguy: I missed the conversation. What're you trying to install ? [15:42] <Encrypt> <eeguy> Guys, I have tried out two different plotting libraries for python, but it is painfully slow to plot in realtime on the pi..
[15:42] <Encrypt> <eeguy> is it at all possible? am i doing something wrong? [15:45] <zer0her0> Myrtti, you got the new screen? [15:48] <dastaan> re using 1 as it's 6x powerful as you might have read. [15:48] <zer0her0> Myrtti, just what i was going to say, a coworker complained about that with hers and her sewing machine, wonder if she knows about these projects...i should ping her. [16:15] <ali1234> Gadgetoid: is the new display case compatible with the pibow case? [16:16] <ali1234> ie https://shop.pimoroni.com/products/raspberry-pi-7-touchscreen-display-with-frame - can the pi also be in a pibow and still mounted on the back like that? [16:44] <JK-47> Im using it for my Pi to kick off ifttt calls to my Smartthings gear. [17:14] <IT_Sean> did you notice slowness before? [17:16] <traeak> what's the cpu usage look like? [17:18] <IT_Sean> You are comparing a Ferrari F-40 to a clapped out honda civic, and wondering why the civic is slower. [17:21] <traeak> hardware on the intel core series taht's not on the rpi2 ? [17:21] <Peetz0r> and yeah, it works. [17:22] <Peetz0r> but my question was, why does the overclocking appearantly not do anything? [17:23] <IT_Sean> Were you hitting 100% CPU usage before? Are you now? [17:23] <IT_Sean> So you were hitting 100% usage before. Are you still? [17:24] <IT_Sean> how much did you OC it? [17:33] <IT_Sean> YOu might want to use a proper benchmarking utility, and not something you've cobbled together with chewing gum and snot. [17:34] <Peetz0r> what's wrong with using bc for testing (singlecore, yes) cpu speed? [17:37] <TheLostAdmin> The hard part is writing the benchmark so that it is actually testing "how fast can you calculate this thing" instead of "how fast can you push data through pipe X"
[17:38] <jer> trust people smarter than yourself to write benchmarking code, and use their tools. seriously. [17:38] <Peetz0r> okay, where do I find a good cpu benchmark for the raspbery pi? [17:40] <TheLostAdmin> jer: some of my favourite examples of that are early HDD benchmarking tools that didn't take into account the side of cache on the disk. [17:40] <TheLostAdmin> size, not side. [17:40] <traeak> did youy verify that the overclock is actually working? [17:42] <Peetz0r> how do I check that, other than benchmarking? [17:43] <Peetz0r> so, how do I check that the overclock is applied? [17:49] <traeak> what does that get you? [18:16] <sla_erick> Hi, im trying to compile the latest kernel headers, but just the headers. I used "make deb-pkg headers_install", is it the correct command to create a deb only for headers? [18:16] <sla_erick> ive seen "make kernel_headers"
[20:15] <AlmtyBob> If I want some remote desktop viewing on my Pi is the standard solution tightvnc? [21:15] <K-202> Hi. 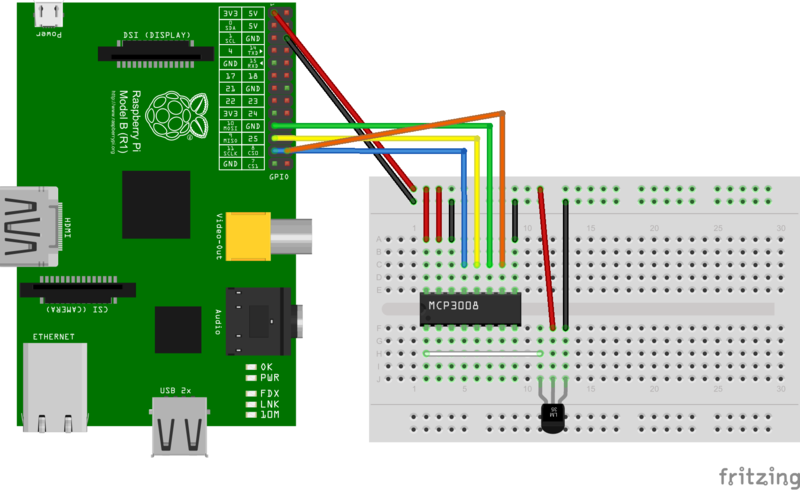 Is it safe to install unofficial version of raspbian SPI, I2C http://docs.emlid.com/Downloads/Real-time-Linux-RPi2/ How can it affect RaspberryPI's temperature and lifetime? [21:49] <Balzy> Hello! I'd like to ask an opinion, if permitted, about a product similar to the Raspberry Pi but a bit more powerful, it's the Orange PI: http://www.orangepi.org/ Has any of you ever tested it? Would you advise me buying it? I find very appealing the fact it provides SATA and Gigabit ethernet. [22:40] <K-202> What can I do to start RPI 2? [22:47] <K-202> DMackey, how can i configure it on my laptop? [23:07] <ksx4system> is the Wolfram stuff available also for one gigabyte board (model 2)? [23:11] <Berg> whats the smallest desktop? [23:25] <Berg> what do you call a rpiu with a hand gun?